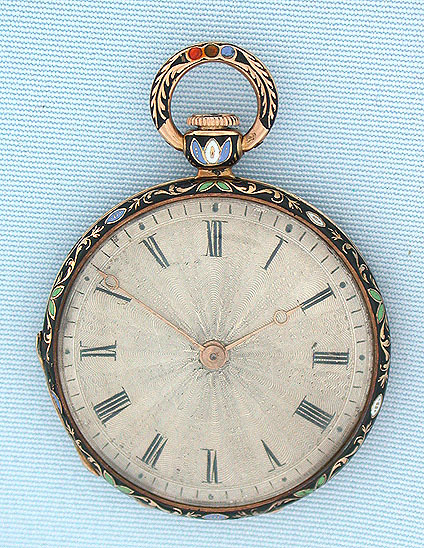 Fine and lovely Swiss 18K gold and champlevee and cloisoinee enamel antique keywind ladies pendant watch by Aubert & Capt, Geneva, circa 1830. 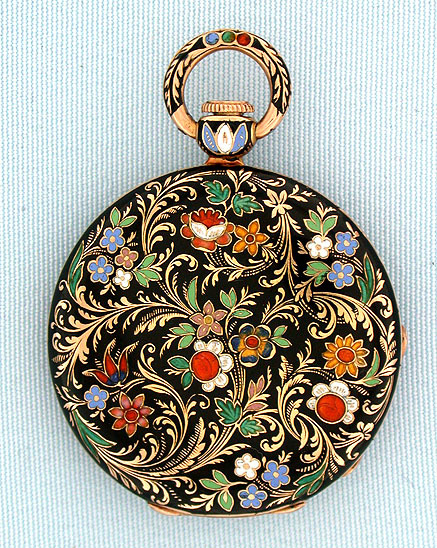 The case with beautiful gold folliage and colored enamel flowers against a black background. Silver engine turned dial with gold Breguet hands. 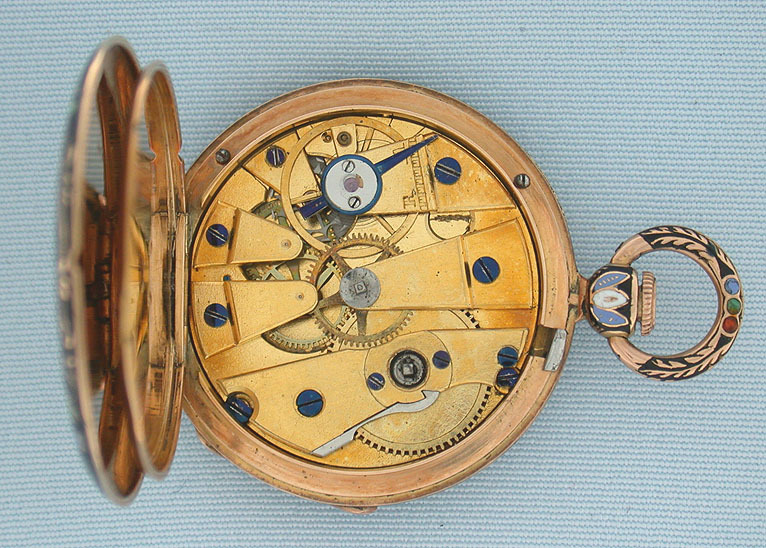 Gilt 6 jewel cylinder movement. Particularly attractive.